Cake is used to regenerate health. It restores 1 hunger point each time and can be used 6 times. It is only eatable if placed on top of a block that you can craft on to form the Cake Block. 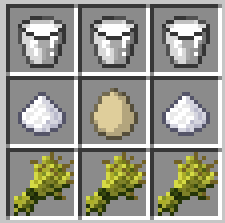 Further information on the item Cake can be found in How to make a Cake in Minecraft.